Constellation Brands’ $4 bln investment in cannabis producer Canopy Growth could kick off a feeding frenzy, akin to that over media content. Beer isn’t the only industry with turf to defend or skills applicable to marijuana. Valuations could get even higher than the customers. 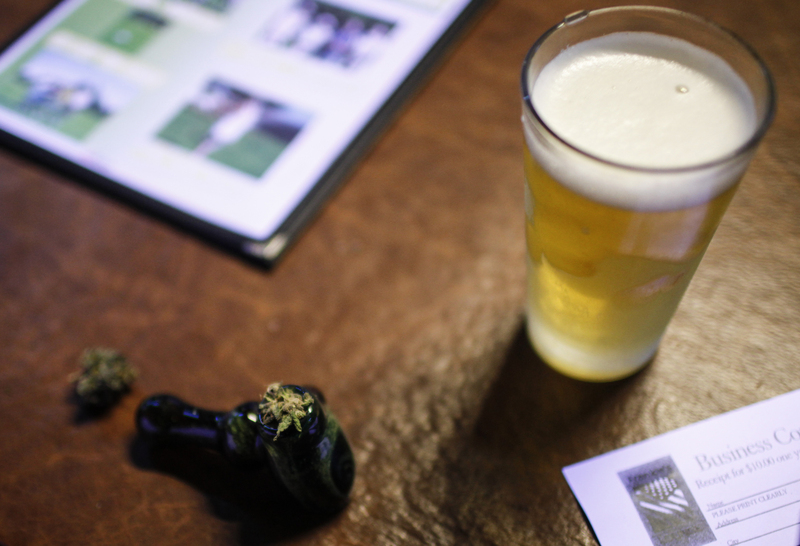 A customer's marijuana packed bowl along with his beer sits on the table at Frankie Sports Bar and Grill in Olympia, Washington on December 9, 2012. Constellation Brands said on Aug. 15 it will invest C$5 billion ($4 billion) in Canopy Growth, taking its stake in the Canadian cannabis producer to 38 percent. The U.S. brewer of Corona beer has the option to increase that to over 50 percent within three years, and will nominate four directors to Canopy’s board. Constellation Brands took a 9.9 percent stake in Canopy in November 2017 for $191 million. It reported an unrealized gain of $464 million on the investment by the end of February, and a further $258 million in the following three months.